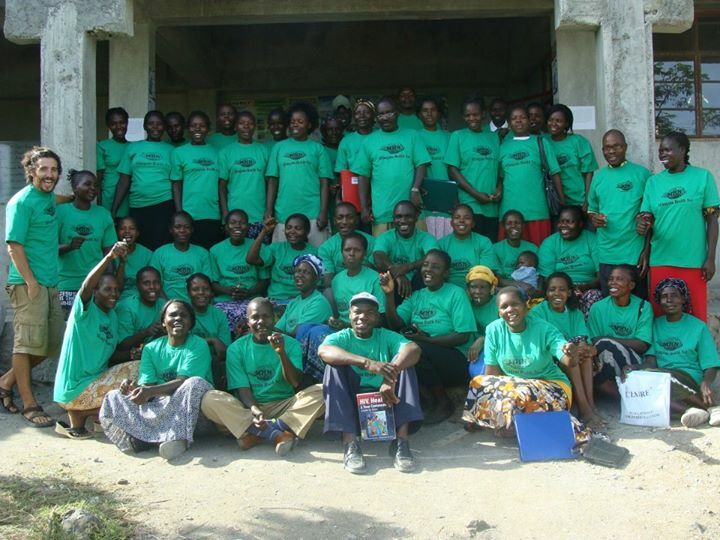 Mfangano Health Net staff and microclinic facilitators in front of the Ekialo Kiona Center on Mfangano Island, Kenya. For the latest updates on Microclinic International’s Microclinic Social Network Model in Kenya, please visit our partner, The Organic Health Response’s website. Microclinic International has partnered with the Organic Health Response (OHR) to address the devastating impact of HIV/AIDS among the remote island communities of Lake Victoria in Western Kenya. Mfangano Island is home to approximately 22,000 people who live without electricity and severely limited health infrastructure. Most critically, the remote villages on Mfangano Island face one of the highest HIV infection rates anywhere in the world, estimated at over 30%. Sadly, of the roughly 200,000 people who still speak the local Suba language, over one third are infected with HIV. The Microclinic Social Network Model will be based out of the Organic Health Response’s Ekialo Kiona Center. This solar-powered resource center will facilitate the Organic Health Response’s pilot called the “Cyber-VCT Program” which will encourage residents to learn their HIV status by providing access to high-speed information technology as cover and incentive for participation in a unique Post-Test Club. The Ekialo Kiona Center will serve as the access point and training center for local residents to join our island-wide network of micro-clinics. A Microclinic represents an innovative local therapy management collective providing nutritional and psycho-social support for people living with HIV/AIDS. Microclinics are formed from friends, relatives and neighbors, equipped with health technologies and in-depth education, and empowered to work together to turn the tide against HIV/AIDS. With micro-clinics across Mfangano Island, the OHR, partnered with Microclinic International, seeks to build a social infrastructure through which numerous health and agricultural initiatives can be sustainably implemented. The OHR, in its partnership with Microclinic International, seeks to empower these rural villages to respond “organically”—as unified communities—to the overwhelming socio-economic, epidemiological, and ecological challenges they face.